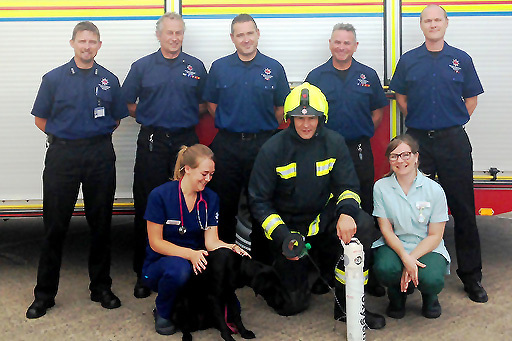 Pets across Devon and Somerset now have a greater chance of surviving household fires, thanks to new oxygen masks specially designed for animals that are being carried on selected fire engines. The ‘Smokey Paws’ masks are available in three sizes, so a large dog, cat, guinea pig, even a tortoise can be treated. 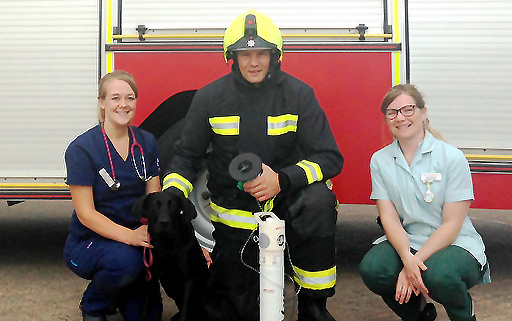 We have managed to raise the money from our team’s various fundraising efforts so far this year, for two masks and they’ve been donated to Nether Stowey and Bridgwater Fire Stations. 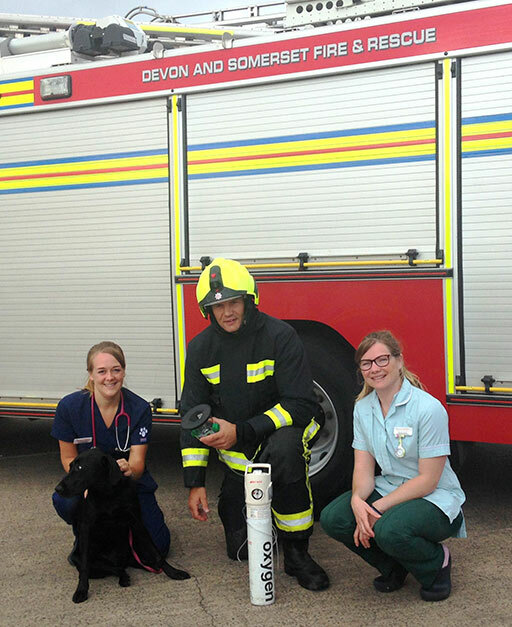 Dominic Phillips, Director and Vet here at Quantock Veterinary Hospital said: “After first-hand experience of dealing with the devastating effects of house fires on family pets, staff at Quantock Veterinary Hospital have supported the fund raising for Smokey Paws, our chosen charity for 2016, with great passion and enthusiasm.